Charleston lies just south of the geographical midpoint of South Carolina’s coastline. It is the oldest and second largest city in the state. It boasts an award winning food scene and charming local shopping neighborhoods. The challenge was to redesign the branding and collateral for the city. 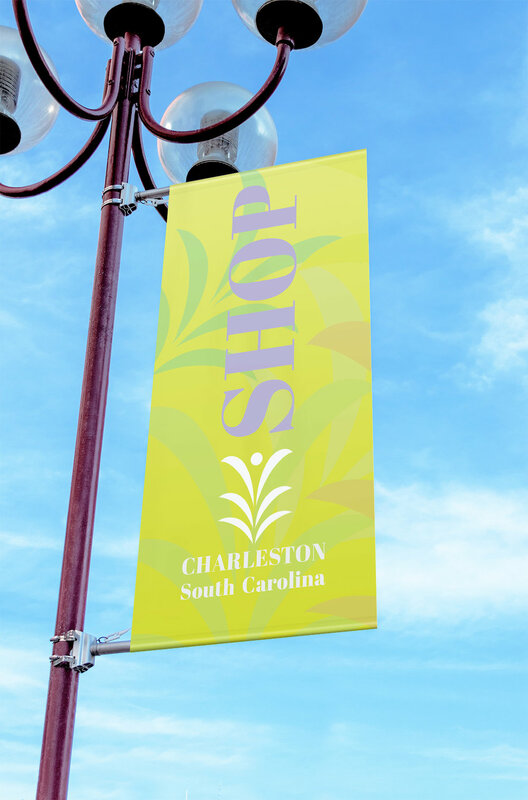 The logo design for Charleston reflects a multitude of things about the city itself. The logo consists of a pearl, which represents the rich oyster industry, sitting atop a palm arrangement. The palms represent the plants native to the area, as well as the legend of the pineapple. When Captains would come home from their voyages they would bring many exotic souvenirs with them, one of them being a pineapple. The pineapple then became a symbol for hospitality. A thick serif typeface was used for the wordmark to evoke the classic feel that is so well preserved in Charleston. The city of Charleston has 10 logo variations. Each variation represents a different aspect of the community through the changing icon in place of the pearl, along with the colour. Charleston is a bright city with many flourishing industries and monumental sights. 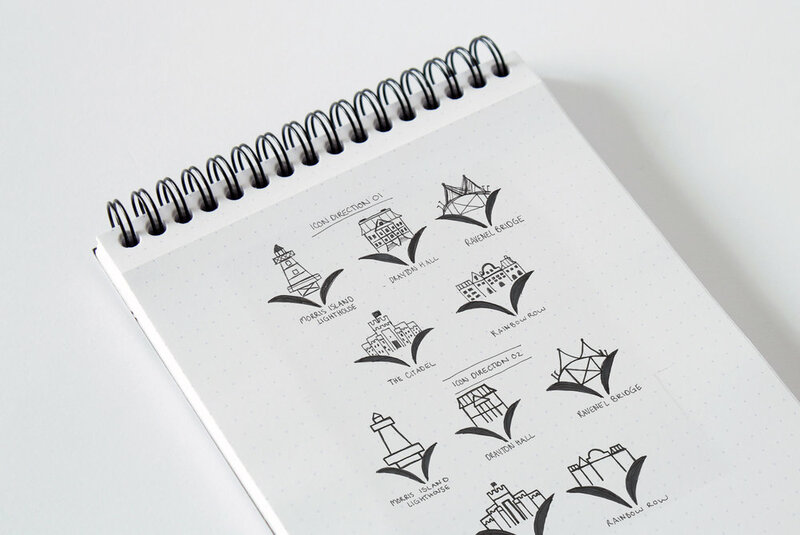 These logo variations are created to represent the cities different facets.